Learn how to manipulate social media traffic by using psychology and word play to develop more targeted visitors to your site. 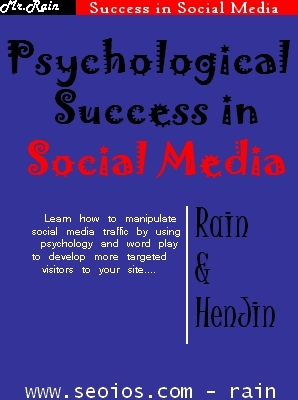 Learn how to deal with the emotion of a social media reader and produce the desired reaction that you want! In this ebook you will learn the importance of updating on social media: how you produce an emotion from the reader every time you update...even if it's boredom! Learn how to capitalize on bringing the different emotions that bring in more clicks and more sales to your site! Wade has really pulled out all the stops with this "How-to" e-book that can revolutionize the way you promote your social updates to your followers and fans! Learn that it's not necessary to have thousands of followers to encourage money making processes! Build your social media engagement and drive traffic to the next level with this ebook!